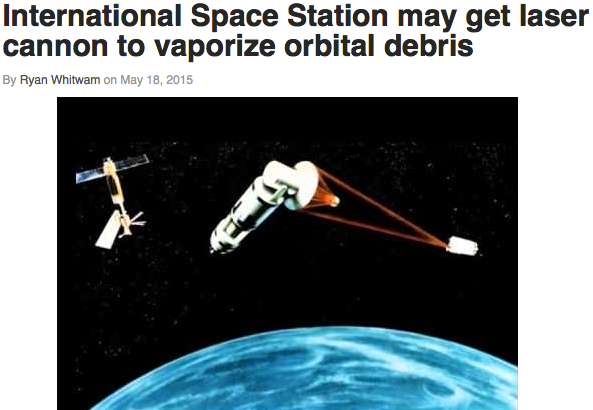 US Space Weather official plan. geomagnetic super-storm, volcanic winters, magnetic pole reversal. TRANSLATIONS WELCOMED! S.AF.E. = SHIELD and AForest Earth plan! 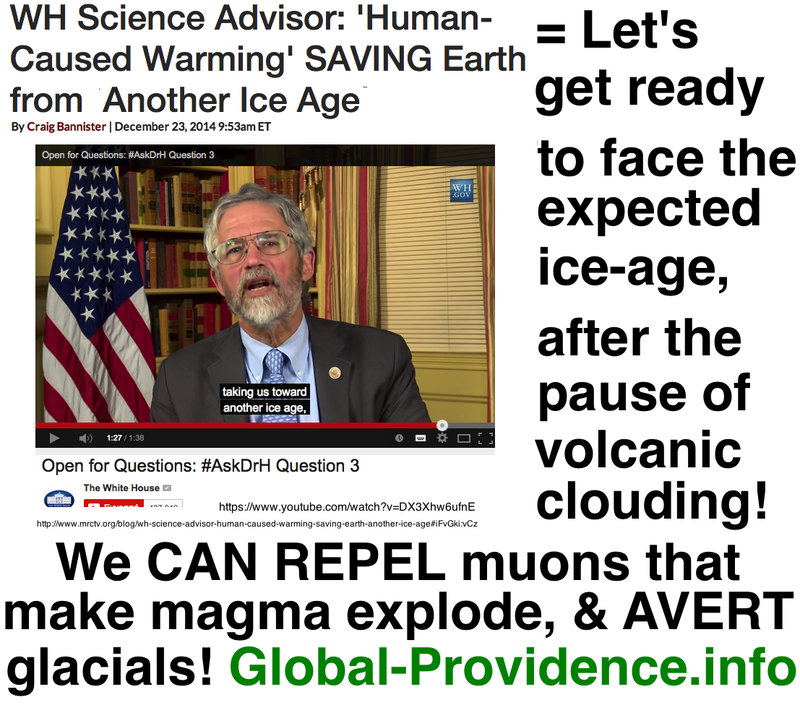 the excessive space electricity causing geomagnetic super-storms & (by stimulating atmosphere – magma) electro–volcanic ice-ages, magnetic poles’ reversal – and to AVERT an EXTINCTION event by all nukes’ explosion! 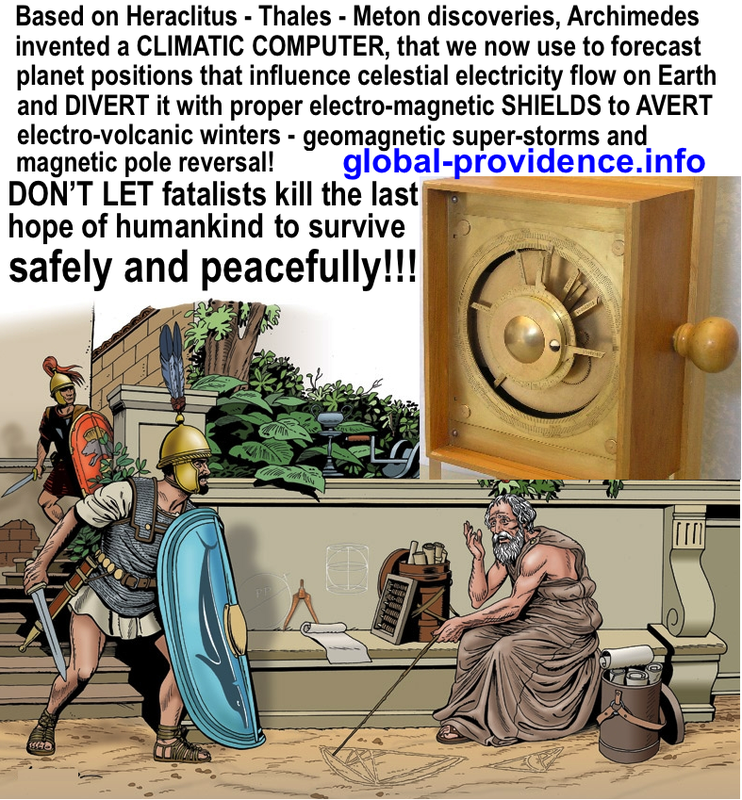 Ancient, recorded electromagnetic space super-storms that devastated Earth [1 Peratt A., LaViolette P.], made also certain people panicked and fatalist, who kept on making other people fatalist too, the origin of wars [2 Kelly R.] and deforestating, slavery panic-doms, successively collapsing [by abrupt climate change induced by those super-storms 3]… But now, to ensure a safe, centenarian life , a rescuing proposal (partly patented by Boeing for other reasons – ), has been asked  and discussed in world congresses. 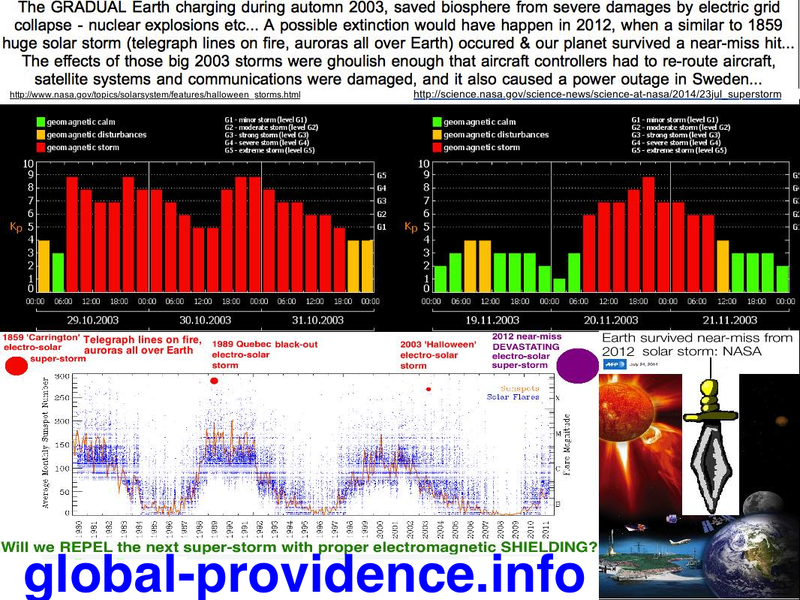 After the geomagnetic super-storms  (the following triggered by the Sun) of 1859 (Carrington global event), 1989 (Quebec black-out), 2003 (Sweden black-out), 2005 (GPS black-out) and the July 2012 NEAR-MISS EXTINCTION event by all nukes’ explosion from a very strong solar super-storm  (missed for a few hours! ), (), a proposal for Laser Plasma Shield has been made public. – it causes the thunderbolts, even from CLEAR sky [11- Gurevich A. ], which are locally diverted by lightning-rods; – the SAME space electricity, either by the electric galactic center  or by the Sun [13- Simpson J.] 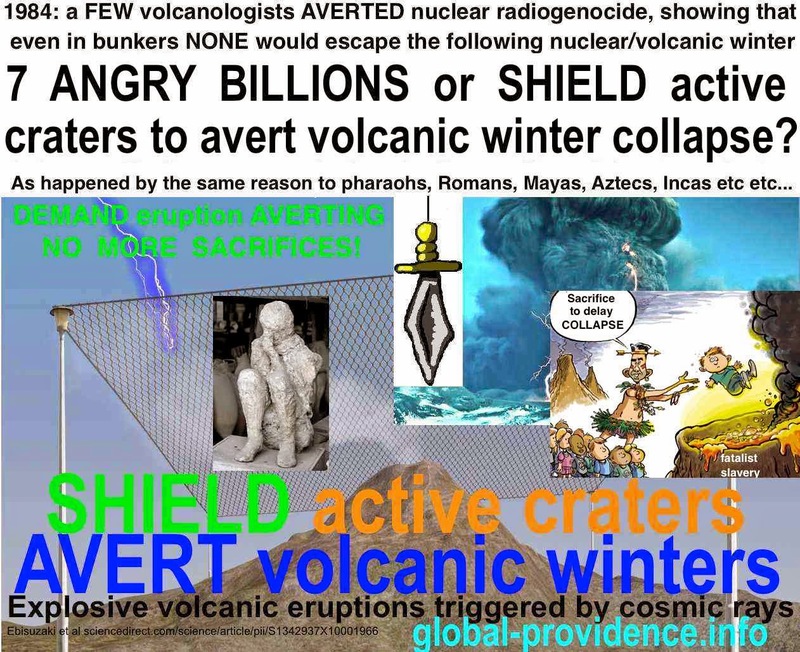 or by any other star, stimulates the magma, causing strong earthquakes [14- Jain, R]; – the SAME space electricity when it hits lava in the craters, causes volcanic eruptions [15- Ebisuzaki T. et al] and the rising volcanic clouding-cooling, increases polar glaciation, pollution and fears for a new volcanic ice-age … – Also a highly charged electric asteroid or comet  passing by the Earth may reverse the magnetic poles, causing a devastating super-charge by deadly cosmic radiation… may be extremely fast, in only a few years/decades! – - Nowaczyk N.R. & ESA fear it’s IMMINENT -). The currently decreasing Sun’s electro-magnetic field strength, weakens also the Earth’s electro-magnetic field, raising the deadly dangers from the incoming space radiation [25- US National Academy of Sciences, Palmer D.]. 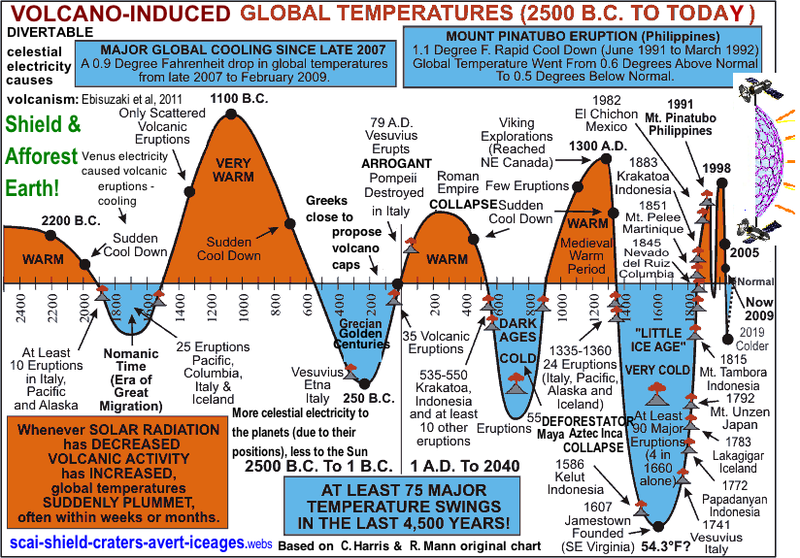 Top astrophysicists [26- Steinhilber F. / Beer J. Schatten K. / Tobiska W., Kirkby, Livingston/Penn, Lockwood, Svensmark, Abdussamatov, Corbyn) forecast a deep solar minimum, similar to that of the volcanic Little Ice-Age, when “volcanic activity is higher in periods of prolonged minima of solar activity” (27- Strestik J., Casati M.] And “If you had a big volcanic eruption of this sort [globally devastating], let’s say in the middle of Europe today, the effects would be enormous and a few months might not be enough to get your act together” [28- Druitt T. et al]. 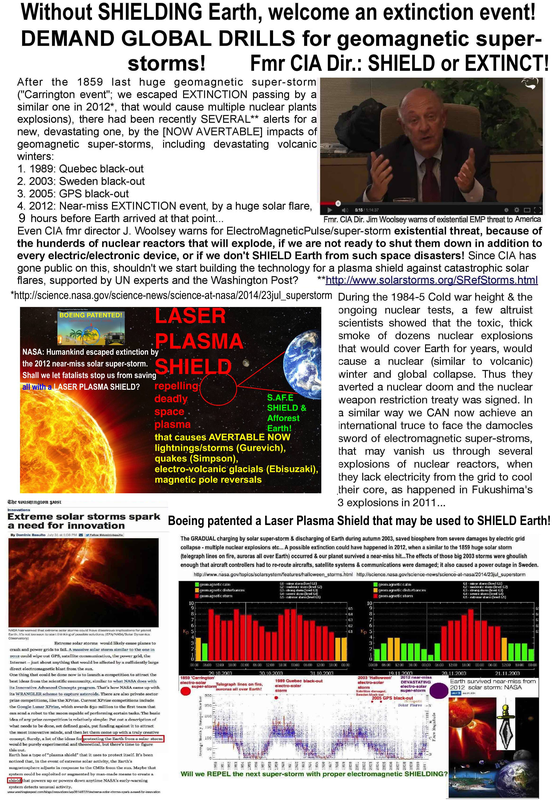 We propose the forecast and repelling of the excessive space electricity that stimulates Earth, through Laser Plasma Shields over active craters and a Laser satellite net Shield high over Equator (maybe in Lagrangian points), where most space electricity hits our planet, causing volcanic winters (which begun like the recent, electro-volcanically induced, -51oC in the USA) , geomagnetic super-storms and magnetic pole reversals, through the change of its angle. Petawatt lasers for shielding, have now being produced . We also propose global afforestation, in case of the worst case scenario. Humankind must act united and fast with the CENTENARIAN MUTUAL-AID CLARITY! REFERENCES at the end of the page. Humankind must act united and fast, with the CENTENTARIAN MUTUAL-AID CLARITY! REFERENCES at the end of the page. Full pdf. In addition to the Carrington flare (1 September 1859), several other massive solar storms have been noted ever since. “If a solar storm of the magnitude of the Carrington flare were to occur today, the effect on our modern technologically dependent society would be grave. Imagine the effect of a total power blackout for months/years on 100 million people in the U.S. along with many millions across the globe. The stars, the galaxies, the lightnings, even the FLAMES are PLASMA! For nearly three years, we have reported on countless discoveries that challenge the foundations of the advertised cosmology and astrophysics. 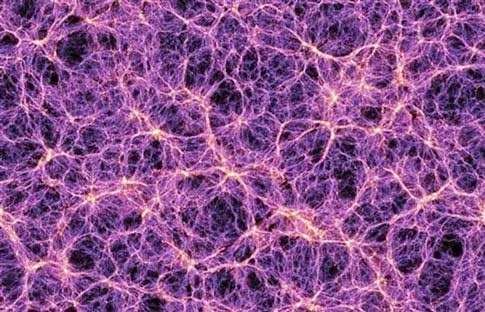 these theories arose from a basic underlying principle of an electrically sterile and disconnected Universe. https://www.youtube.com/watch?feature=player_embedded&v=uVaQCjbHVBY Gravity is a weak electrostatic dipole force. Charged plasma surrounds the Solar System. Τhe Sun is a glowing anode, or positively charged electrode. 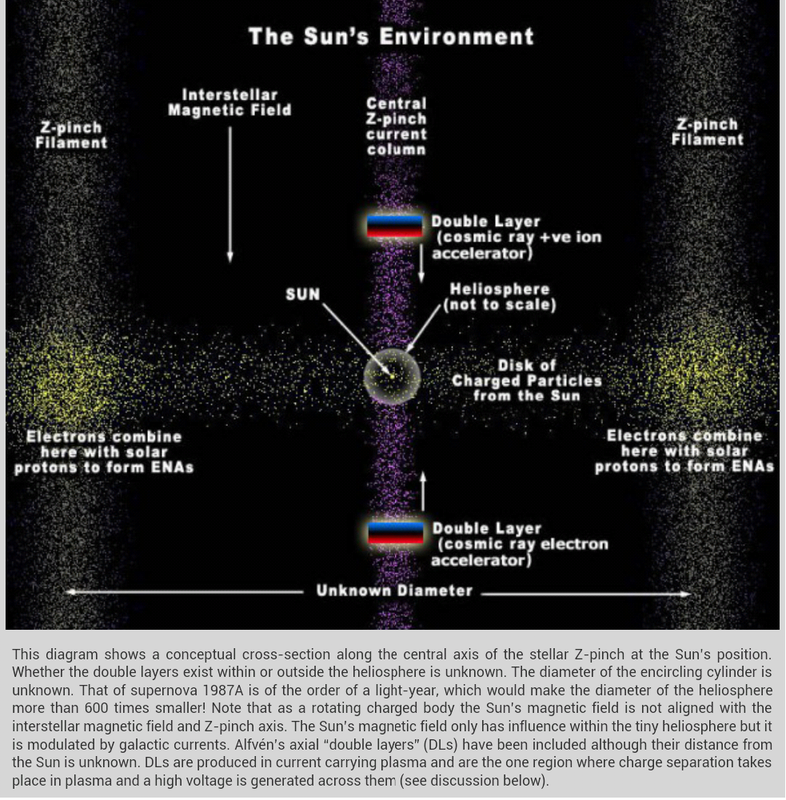 Its oppositely charged cathode is invisible, a “virtual cathode,” called the heliosphere that exists billions of kilometers from its surface, where a “double layer” isolates the Sun’s plasma cell from the galactic plasma that surrounds it. interact through conductive plasma and are connected by circuits, so the Sun is also assumed to be electrically connected with the galaxy. causing a short circuit. Magnetic reconnection is a poorly constructed theory, but it is the only explanation offered by heliophysicists. A dark mode plasma emission is constantly radiating from the Sun, traveling through the Solar System at a speed of 700 kilometers per second when it is at its most energetic. In a gravity-dominated Universe, solar radiation pressure cannot explain how charged particles from the Sun accelerate past Venus, Earth and the rest of the planets. Prior to the solar wind’s discovery, no one expected such acceleration. of light-years, electrical energy is probably constrained by magnetically confined Birkeland currents, providing power to the solar anode. An Electric Sun creates flares, the hot corona, and all other solar phenomena because it responds to changes in electrical input from our galaxy. Birkeland current filaments electrify the Solar System, supplying more or less power to the Sun as they oscillate in power output. Arc mode, glow mode, and dark mode discharges are all influenced by those flowing electric charges. These ideas most likely hold the reason for what scientists call the “local hot bubble” (LHB) that surrounds the Solar System. A recent press release states that detectors have located a field of “million-degree interstellar plasma” that initiates an X-ray glow “over the entire sky”. Kids manual to SHIELD Earth from space and magma disasters! With the free habits of centenarians and without fatalism! A child saw at her school that some fatalist adults prevented others to put a FREE arrester, and she persuaded another child from another school, and there they managed to put a lightning rod!!! of the high speed tumble, which called electrons and protons. pierce us and dissolve our cells, that is us getting electrocuted. sockets, to avoid ignition from lightnings. - http://www.humanities360.com/index.php/could-climate-change-have-destroyed-the-mycenaean-greek-civilization-5447/#sourcesAndCitations Mycenaeans invaders though were not Greeks. 9. Near Miss: The Solar Superstorm of July 2012 http://science.nasa.gov/science-news/science-at-nasa/2014/23jul_superstorm/. ScienceCasts: Carrington-class CME Narrowly Misses Earth NASA VIDEO: https://www.youtube.com/watch?v=7ukQhycKOFw. 11. The observed electric fields in thunderclouds are generally too weak to initiate the atmosphere's electrical breakdown. But COSMIC RAYS can play a surprising role in the drama of LIGHTNING: A. V. Gurevich and K. P. Zybin, Runaway Breakdown and the Mysteries of Lightning. http://www.phy.olemiss.edu/~jgladden/phys510/spring06/Gurevich.pdf. 14. Solar flares trigger earthquakes - Jain, R., Physical Research Laboratory. 16. - Britain National Risk Register of Civil Emergencies - Volcanic hazards Risk [=VOLCANIC WINTER] https://update.cabinetoffice.gov.uk/sites/default/files/resources/CO_NationalRiskRegister_2012_acc.pdf. - Sunday Times: Europe May be Facing Return Of 'Little Ice Age': "State Meteorological (Met) Office publishes in Nature its prediction that Europe could be facing a return of the Little ice age ・that gripped Britain 300 years ago, causing decades of bitter winters ・ http://www.thesundaytimes.co.uk/sto/news/uk_news/National/article794416.ece. - Stott, L. , Poulsen, C. , Lund, S. & Thunell, R. Super ENSO and global climate oscillations at millennial time scales. Science 297, 222 - 226 (2002). - Koutavas, A. , Lynch-Stieglitz, J. , Marchitto, T. M. Jr & Sachs, J. P. El Nino-like pattern in ice age tropical Pacific sea surface temperature. Science 297, 226 - 230 (2002). 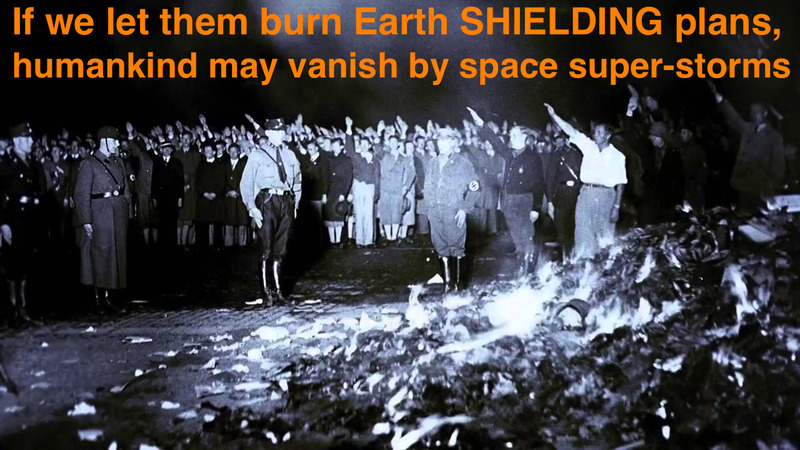 - Richard Holme, Professor of Earth, Ocean and Ecological Sciences at Liverpool University http://www.dailymail.co.uk/sciencetech/article-2545465/Forget-global-warming-worry-MAGNETOSPHERE-Earths-magnetic-field-collapsing-affect-climate-wipe-power-grids.html. 26. Solar Activity Heading for a Maunder Minimum? Bulletin of the American Astronomical Society, Vol. 35, p.817 http://adsabs.harvard.edu/abs/2003SPD....34.0603S  Schatten, K. H.; Tobiska, W. K.
- Dr Kirkby J.: Cosmic rays and climate, CERN Colloquium, 4 June 2009.  http://indico.cern.ch/getFile.py/access?resId=0&materialId=slides&confId=52576. - Drs I. Charvatova, J. Strestik Geophysical Institute of the Czech Academy of Sciences: "lower solar activity, occurrence of huge volcanic events and lower surface air temperature could be expected in the next decades". http://rebel.ig.cas.cz/activities/Rocenka93-4/charv.htm. inspired! Very helpful information particularly the ultimate part 🙂 I care for such information much.